Chillin’ like Bob Dylan: Folly Beach, Charleston, S.C. Returning from lovely Charleston, South Carolina after a relaxing week, I’ll be able to retain a southern, laid-back lilt to my voice for perhaps a day or two more….As many of you would likely agree, there’s nothing quite as bracing as the need to attend to the post-vacation crunch of full email accounts, urgent work-inbox tasks, and full clinic days! It certainly makes a difference to return to a job and profession one loves. Sports medicine: what would I do without you? I hope you have had a chance to peruse the new, January 2015 CJSM, which is as full of excellent articles as the aforementioned inboxes. One of the highlights of the issue is the American Medical Society for Sports Medicine Position Statement on Interventional Radiology, which is currently freely available. I hope, too, you’ve had a chance to catch the new podcast interview with Dr. Jonathan Finnoff, the lead author of the paper. 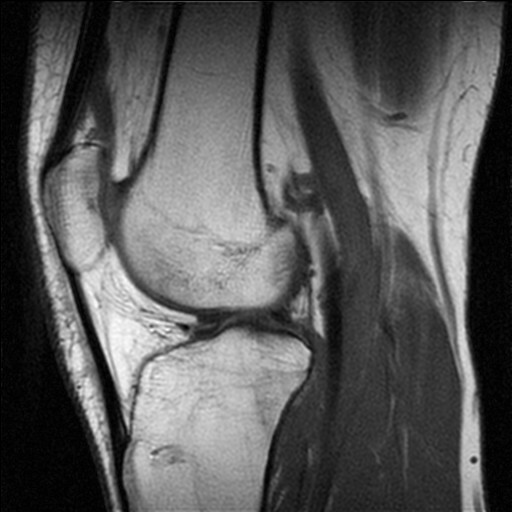 MRI scans in Sports Medicine – use or abuse? The article claims that Dr Andrews was involved in a piece of research where the pitching shoulders of 31 asymptomatic Professional Baseball pitchers were scanned using MRI, with findings of ‘abnormal shoulder cartilage’ in 90% of the shoulders, and ‘abnormal rotator cuff tendons’ in 87% of the shoulders. There was no indication as to whether or not this research was published. Following quotes from these clinicans, the author goes on to make what some might call a leap of faith in then stating that ‘MRIs are not the only scans that are overused in medicine, but in sports medicine where many injuries involve soft tissues like muscles and tendons, they rise to the fore,’ the statement regarding ‘overuse’ having been drawn, presumably, from inferences from some of the clinicians quoted in the article. Later on in the article, a retrospective study from 2005 by Bradley and colleagues of 101 patients with chronic atraumatic shoulder pain is mentioned which examined the effect of pre-evaluation MRI on patient treatment and outcome, and concluded that MRI was not helpful as a screening tool for atraumatic shoulder pain before a comprehensive clinical evaluation of the shoulder. The New York Times article certainly seems to have sparked a flame of interest spreading amongst other newspaper and website authors and has been widely quoted in the few days since it has been published. There is no doubt that there are a number of factors that could lead MRI scans to become overused as an investigation in the assessment of patients seen by Sports Medicine clinicians. These could include improved accessibility to MRI scanners, reduced cost for examinations, inadequate clinician history taking and / or examination skills, laziness on the part of clinicians in performing an appropriate assessment, financial incentives, patient pressure for scans, and defensive medical practice. However, any clinician worth their salt surely recognises the need for an excellent history, targeted clinical examination, formulation of a differential diagnosis and appropriate investigation on the basis of these. They would also surely realise issues regarding the sensitivity and specificity of MRI scans for detecting lesions, and the fact that the natural history of some lesions detected by MRI scans that have hitherto been undetectable is not well known, limiting the conclusions that can be drawn from some scans relating to treatment and prognosis. In addition, the limitations of MRI scanning as a screening tool should also be known by responsible clinicians, although there is no doubt in my mind that some colleagues are using MRI scanning in a non-evidence based way for screening and that this may ultimately lead to unnecessary procedures and psychosocial harm. I don’t agree with the quote from Dr Andrews implying that if one wants to operate on a pitcher’s shoulder then all one needs to do is order an MRI scan – good surgeons operate on patients, not scans, and should surely follow the time-honoured approach I have highlighted above. The article by Kolata in the New York Times presents little if any evidence that MRI scans are indeed overused in Sports Medicine, and it is my opinion that the views of a few individuals plus a couple of retrospective studies don’t really form a convincing argument to support the inference in the title of author’s article, that MRIs are indeed overused in Sports Medicine. It’s interesting that our Specialty was targeted in this article. Is this a thinly-veiled attack on Sports Medicine clinicians?